A zany character smiling on your coffee mug! 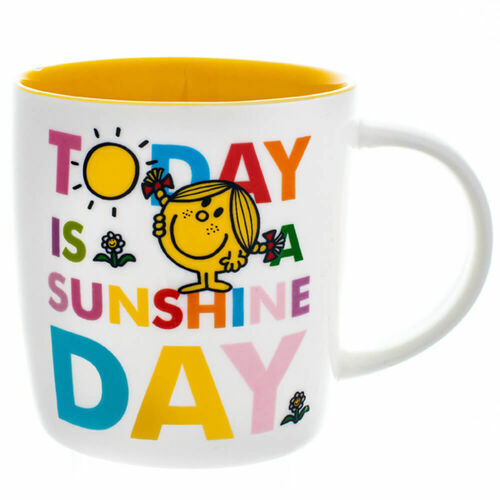 Make a bright, bold and happy morning cuppa with your Little Miss Sunshine Mug! Based on the cheeky character from the best-selling Roger Hargreaves books, this bone china mug is sure to make a statement at home or in your workplace. Especially on a Monday! If you're a morning person, you're sure to brighten up every day, just like Little Miss Sunshing with her cheery nature and beaming smile. No wonder she's so popular! "You are now entering Laughterland. Smiling, laughing, chuckling, giggling permitted by Order of the King".